Today’s lunch box recipe is about sprouted Navaratna dal which also featured Paneer. This makes a great side dish along with Chapatis for carrying to work and is really hassle free. Adding sprouted dals makes this even more healthy. Here’s for a quick post today as it’s been a hectic day and couldn’t find time to do anything else. Make paneer, cube and roast in ghee. Keep it aside. Wash and sprout the navaratna dals. Once ready to cook, wash again. Pressure cook for couple of whistles and keep it aside. Heat a non stick pan, saute with onion puree, when it turns colour add ginger garlic paste and saute well. Blanch the tomatoes, remove skin, crush or puree depending on your style. When the onions are done, add the tomatoes, simmer for 5 mins. Add all the spice powders, salt mix everything well. Then add the cooked dals, saute well. Finally add the paneer and simmer for 5 mins. Add water as required. Bring to boil and simmer till thick, which might take about 5 -7 mins. When ready garnish with coriander leaves. 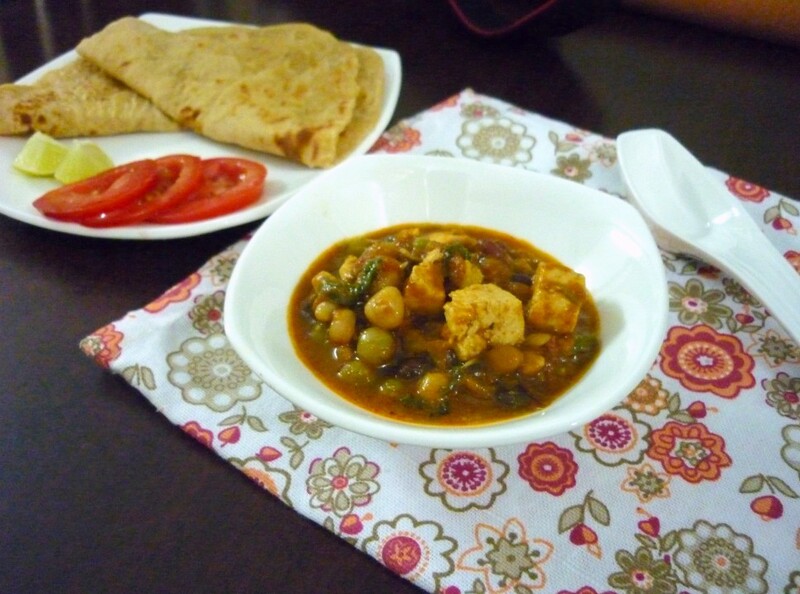 nice combo valli – proteinicious dish ! Wow excellent curry, simply inviting and delicious. Nice, healthy combo of ingredients, Valli. Simple n healthy recipe, looks very delicious. The curry looks very delicious. 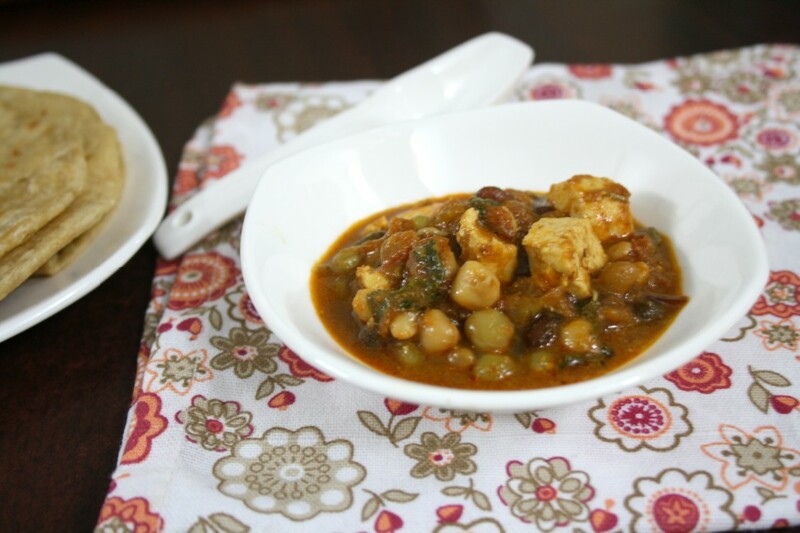 Very protein rich dish with those sprouted beans and paneer. I love anything with paneer (I even make a paneer bread pudding) but I have never seen the sprouted dals before. Going to have to look if I can find those. Oats Date Almond Milkshake ~ Healthy Smoothie!